Clerks 3, yay or nay? Kevin Smith couldn’t be happier. Even with his new horror flick, Tusk, tanking in theatres, he wears a smile because he’s now making Clerks 3. For Smith, the third Clerks movie has been a long time coming, but what do you think. Nay, as once again I have not heard of this! It is therefore probably one I would not be interested in and especially being a sequel which I rarely like. I didn't even know there was a Clerks 1 & 2. For me, this is a nay. 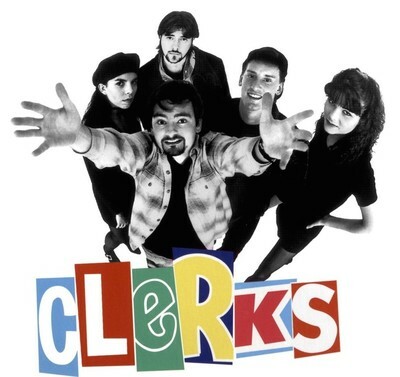 I love Kevin Smith's movies, hell I grew up on Mallrats, but Clerks just never did it for me. Clerks was a brilliant movie. Clerks 2 was supposed to be a farewell to the characters, having finally gotten them out of the rut they were in for so long. I can't see any point to a third film. How did The Ridiculous 6 become the most watched movie on Netflix? Are you a fan of Chris Rock? An Anne Rice Vampire movie reboot, are you in? What is your favourite Stephen King movie? What is your favourite Disney movie character?